18 weeks booked by March for 2019 (11 weeks by late January)! 31 total booked weeks in 2018! ELEVATOR and ROOM FOR POOL! 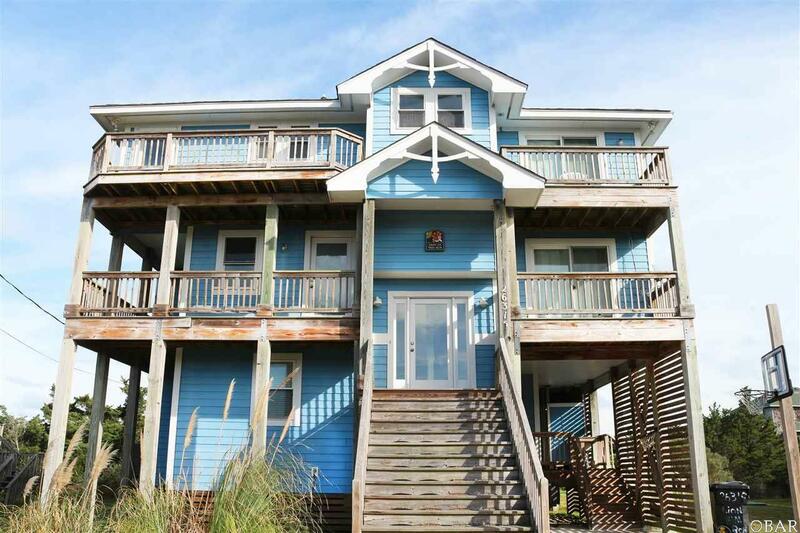 NEWEST Salvo oceanside 5-bedroom for sale! CAN'T DUPLICATE FOR THIS PRICE! 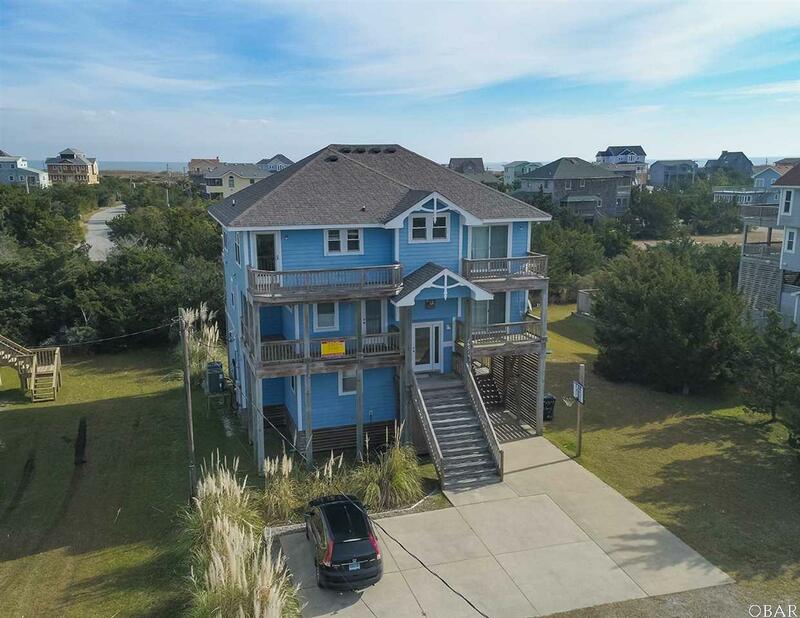 Spacious and sunny with OCEAN VIEWS and distance SOUND views! Elevator is convenient for vacation rental guests now, 2nd home or retirement living later! Gulfstream says ROOM FOR POOL in south side yard! NEW As-Built Survey. 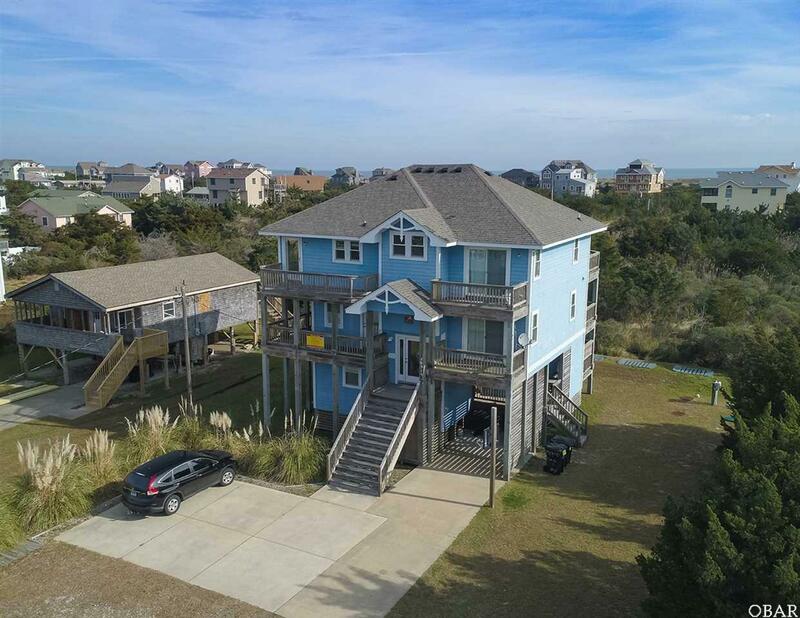 LOTS OF SPACE--Five Masters; great Game Room with Wet Bar; Mid-level TV/extra sleeping area with pull-out; and large Top-level living area with Pre-finished Wood flooring and LARGE Island Kitchen with Granite, black GE Appliances and Ice Machine! Clever ceiling fans and light fixtures, surround sound speakers, recessed lighting, beachy decor and big flat-screen TVs. Two large master baths with double vanities, pocket-doors, stall showers with separate GARDEN TUBS. 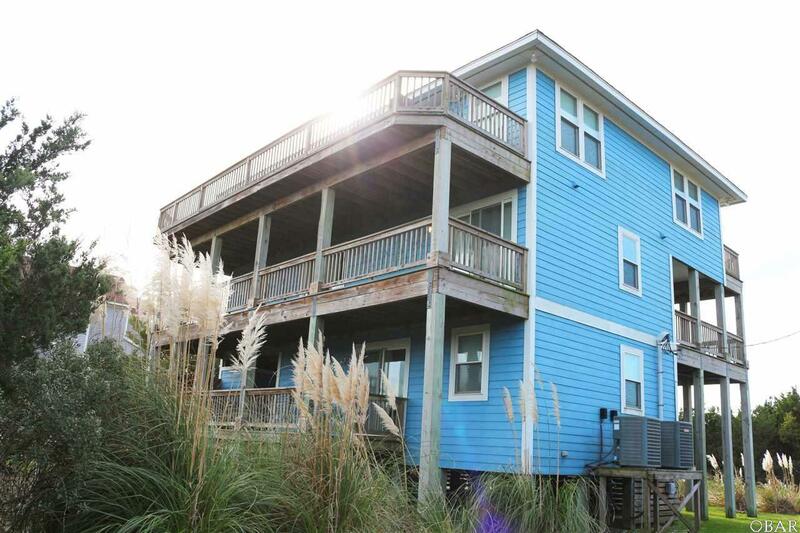 Front bedrooms have balconies and rear bedrooms have doors to ocean-view deck. Mid-level covered deck for shade. Laundry/utility room off game room, and slider from game room out to hot tub, outdoor shower and fish cleaning table! Grassy lawn with cedar and pampas. Dual-zoned HVAC. Exterior storage. COME AND SEE! Listing courtesy of Terry Cremia of Shore Realty.